Using ice blocks hewn from the nearby Torne River, a new ICEHOTEL is being built to replace the previous one that a merciless sun has eventually melted into soggy soil. Designers, architects and a changing team of artists create yet another elaborate example of their „ephemerial collection“ – an installation made to survive – and be enjoyed – for a limited period of time. 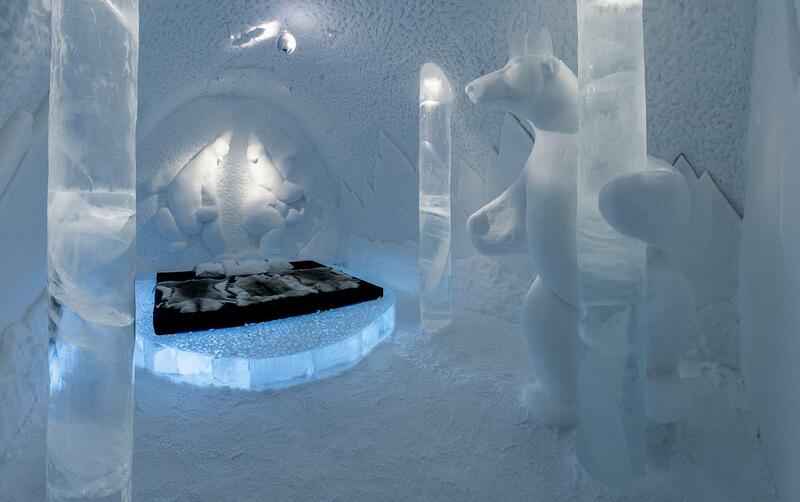 The ICEHOTELS’ short-lived existence only lasts as long as nature tolerates it. This room’s theme Dragon Nest was created by Bazarsad Bayarsaikhan. Photo credit: ©Paulina Holmgren. “Here in Jukkasjärvi we live with Torne River as a natural part of everyday life. The river has created a gathering place – the name Jukkasjärvi derives from a Sámi word that means “meeting place by the lake”. What had started off with an ice sculpting workshop in 1989, developed into a veritable art gallery (ARTic Hall) housed in an igloo constructed from ice and snow. But the unusual building proved its quality as an exhibition place not merely for sculpted art, but also became a popular venue for church services and film show cases. Prospects changed entirely, after a party of guests had asked permission to stay overnight – and were enthralled by the experience. Thus the idea for the ICEHOTEL – the first of its kind in the world – was triggered off. Communicating en bloc. Photo credit: ©Christopher Hauser. 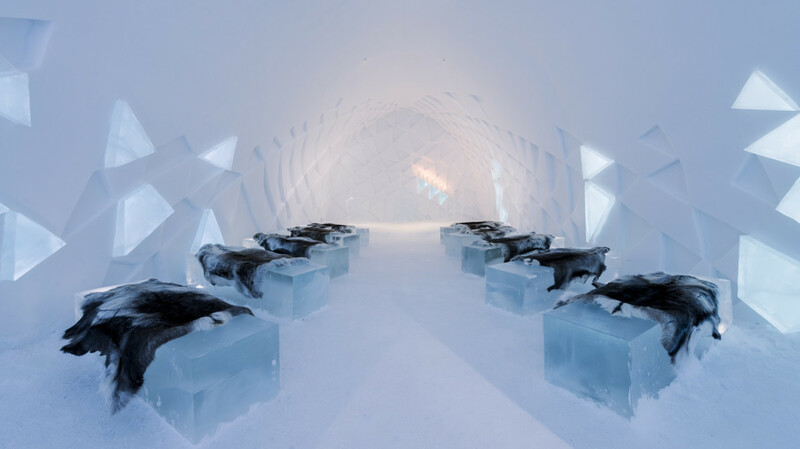 Up till today, most guests decide to stay at the ICEHOTEL for one single night – spending the others at the adjoining cabins available all year round. Nature-friendly wilderness experiences are offered in the shape of skiing, husky sledding, kayaking, stand-up paddle-boarding, fishing or the obvious: ice sculpting. Sled dogs are part of the arctic experience. Photo credit: ©Martin Smedsen. The ice harvested from the river in spring is kept in storage halls until utilised for building next year’s ICEHOTEL. Due to both sharing site, emissions are nil. The Arctic climate chills the storage halls naturally for most of the year. To cover for the remainder of the time, chilling facilities take over. From the re-use of energy they produce, the hotel profits as well. Aurora Borealis. Jukkasjärvi means 100 days and nights of midnight sun during summer and a fortnight of darkness in winter. Photo credit: ©Markus Alatalo. „Ten seconds of water flow in Torne River are equivalent of 4,000 tons of ice – enough for four ice hotels. 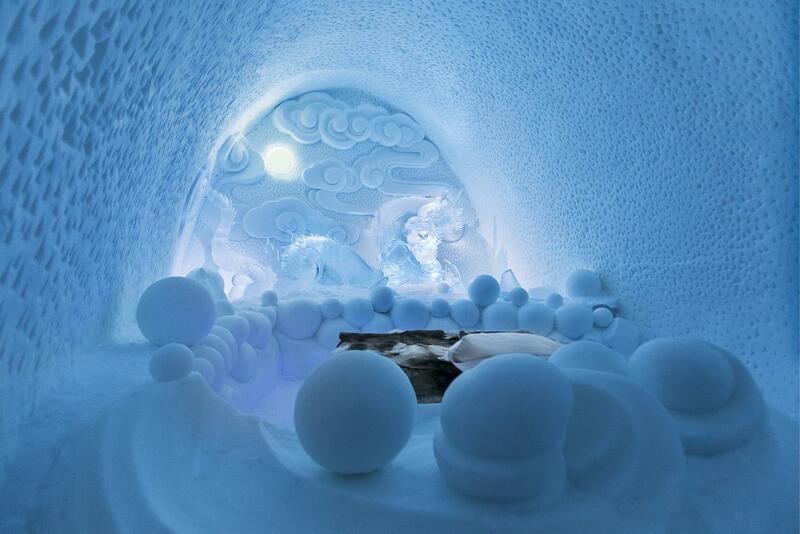 ICEHOTEL is built of pure ice and snow, a generous loan from Mother Nature. The header images shows the luxury suite “Tolackuntur”, designed by Javier Opazo and Cristian Winckler. It has been cropped to fit into the header frame. 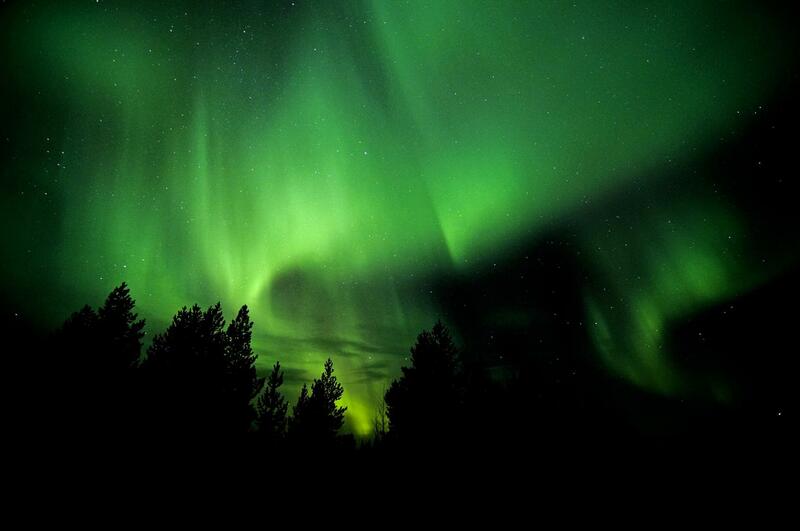 Photo credit: ©Paulina Holmgren.